A single solution for safer handling of 205L or smaller drums, the spill caddy is highly mobile and includes built in spill containment. It is ergonomically designed for tipping to reduce back strain. Constructed from polyethylene for high chemical resistance, the bund capacity also exceeds Australian Standards for 205 litre drums. Available as indoor caddy, with plastic wheels, or outdoor with pneumatic wheels. 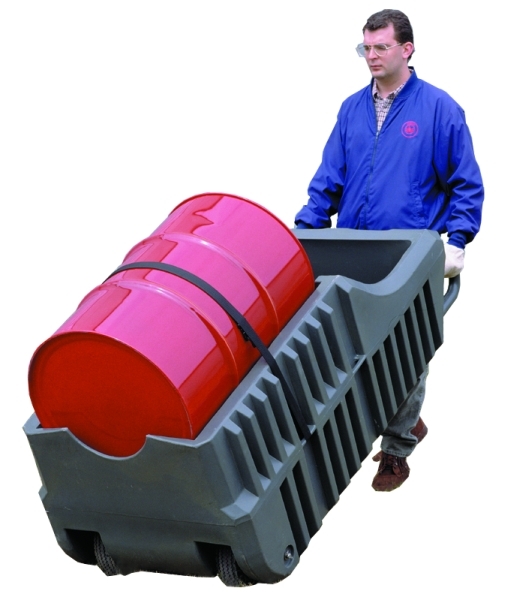 • Dispensing and handling of drums up to 205 litres. • For use on rough surfaces, use the outdoor caddy.